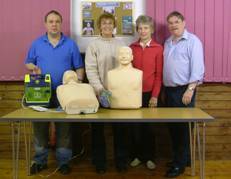 The aim of Midgham Community Responders is to give vital support prior to the arrival of an Ambulance. Although nearly all our team live in the village we are not here just to help Midgham inhabitants. Our operational area is about a two-mile radius from the centre of the village, so you don’t have to know every road in West Berkshire. We do not replace the Ambulance but are here as a voluntary addition to it. If by chance you call for an Ambulance we could be asked to attend if it is thought appropriate by the Ambulance Control Room. All this of course can only happen if one of our volunteers is available and on call. During life threatening situations every second counts, so as responders live locally the aim is to give support prior to the arrival of an Ambulance. A number of our residents have already benefited from our help. While we are administered by the South Central Ambulance Service, we are in fact a self-supported unit. Consequently it was with the help of Midgham Parish Council; The Evening Post; Combined Insurance Services; Greenham Common Trust, plus various anonymous donors that we able to raise enough money to purchase the life saving apparatus and various other pieces of training equipment. Regrettably although we try we can never give a twenty-four hour cover. However if you would like to find out more about the Community Responders and would consider joining us, please come along to one of our practice meetings. These are held in the Village Hall in Church Hill. The more people who join the scheme the better it is for the whole community. We need you so please give our co-ordinator Kevin Jury a call on 9713274 and arrange to join us. 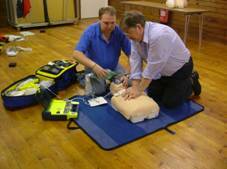 Knowledge of First Aid is not essential or required as the Ambulance Service will give all the appropriate training. Why not make it a family affair. There’s nothing to say you can’t go out in pairs, in fact it helps with your confidence. You will not be asked to sign on every day, but only when you can. The sense of helping a fellow human being is the only specific commitment required. 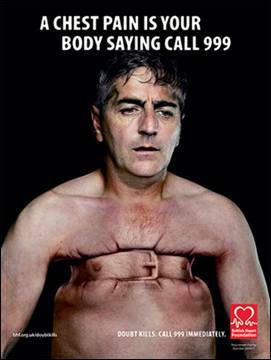 If you’re in pain don’t be to frightened to call for an Ambulance on 999 or 112, although please remember to help them find you in an emergency. Essential points to keep in mind. We would also appreciate it if everyone could make sure that their house name or number are clearly visible from the road. Ideally they should be positioned by the main entrance to your property. 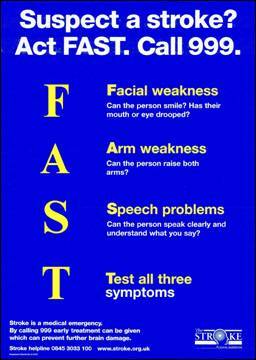 Remember that every second counts in an emergency. Although your Postman might know where you live the emergency services don’t. Remember that people look for house names or numbers next to an entrance by the road. Make sure your house name or number is facing directly towards the road, never away from it. Don’t put names or numbers on a gate that is always left open. Make sure the name or number isn’t obscured by a hedge or hanging in the branches of a tree. Please don’t put it so far from the road that nobody except superman can read it. If the name or number is on brickwork, please ensure there is a contrasting colour is behind it. If you share a common entrance please arrange for pointer arrows to each house, especially if this is a long private drive. For further information about becoming a Community Responder, please e-mail Hugh Whitaker at mailto:Communityrespondersberks@rbat.nhs.uk or dial 0800 5870207.